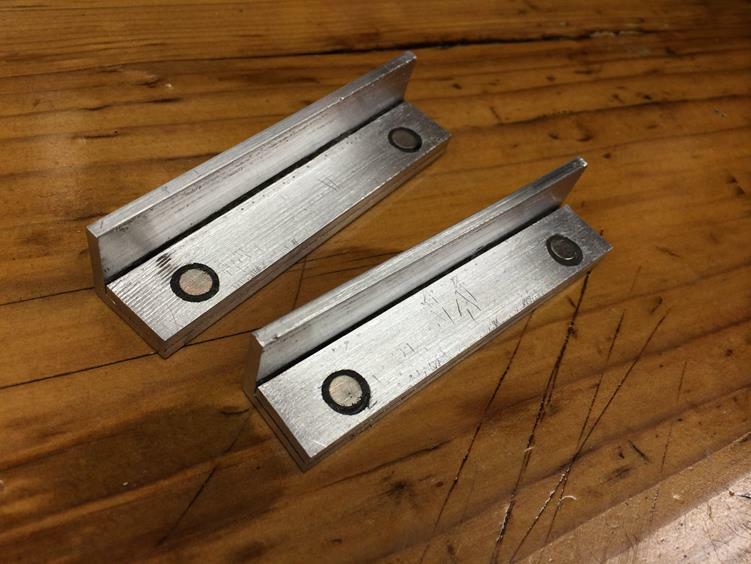 My vice has toothed steel jaws that were scratching and denting the aluminum parts I’ve been making. I considered making a set of aluminum replacement jaws but realized what a pain it would be unscrewing and re-screwing the four screws to switch back and forth. 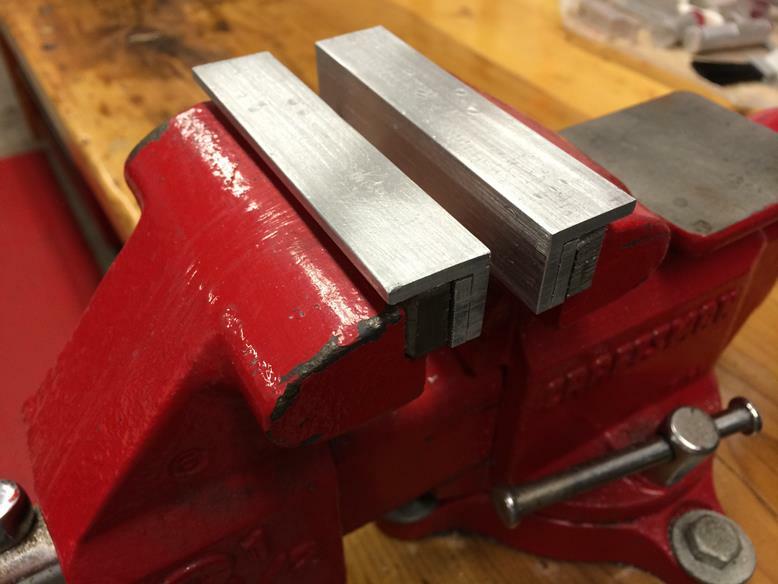 I had seen someone create a set of soft jaws with embedded magnets so I set out to make my own. I purchased some1/4″ neodymium rare-earth magnets at a local crafts shop. Then cut some ½” aluminum angle that I had in the scrap bin and thickened one side with some ½” aluminum bar to accommodate the magnets. After drilling holds to accommodate the magnets I used JB Weld to epoxy them into place. A little cleanup with files and they snap into place quickly and easily!